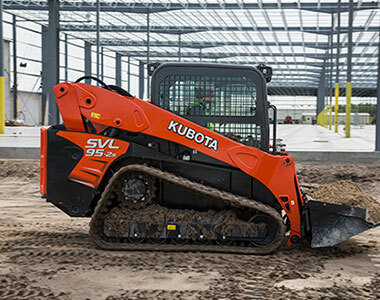 Powered by a 96.4HP Kubota engine with exceptional 3611KG bucket breakout force and outstanding lifting capacity at 2662KG, the Kubota SVL95-2s delivers superior comfort and performance to tackle any job with ease. 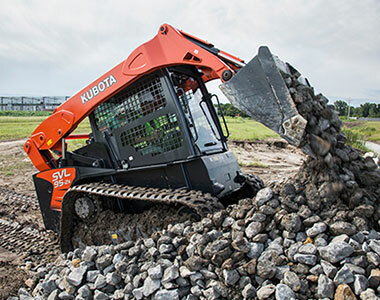 Offering superior versatility, the hi flow hydraulics delivering 152.0 l/min to run the largest attachments from tree mulchers to road profilers. 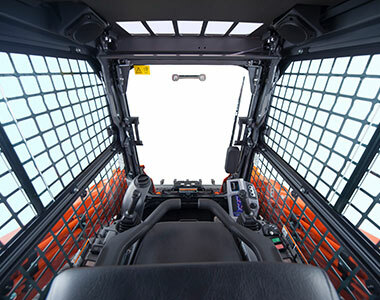 Wide working range and unique vertical lift design delivers exceptionally long reach of 1035mm. Enhanced AUX flow rate on high flow model increased to 152 l/m allowing high efficiency for attachments that require a large flow rate. Standard 2 speed function to shift from 8.0 km/h to 11.7 km/h with a press of a button. Pilot valve with shuttle piston ensures that consistent oil flow, improving stability when traveling straight. Ground clearance of 293mm let’s you drive over troublesome obstacles with ease. 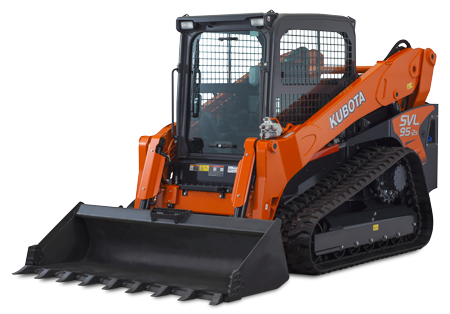 Traction force of 5524KG, the original Kubota lug design provides more grip and traction force than ever before. 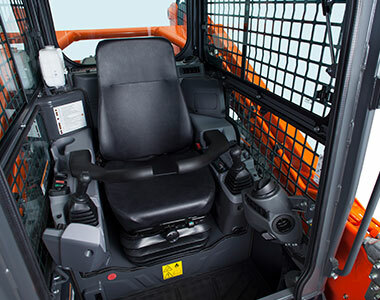 Excellent 360° visibility for added safety. 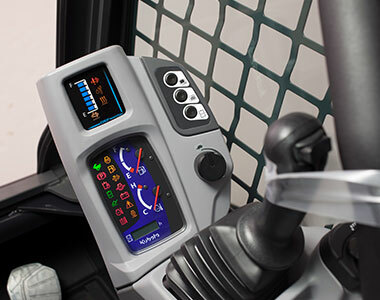 Hand dial and foot throttle allows you to match the engine speed to the task at hand. Easy to clean floor mat and built in drain hole for those hard to reach places. Easy-open sliding front windows can be opened regardless of the position of bucket or attachment. Enhanced AUX flow rate on high flow model increased to (152.0 l/m) to run high capacity for attachments that require a large flow rate. Available in 1/2″ and 3/4 ” couplers. 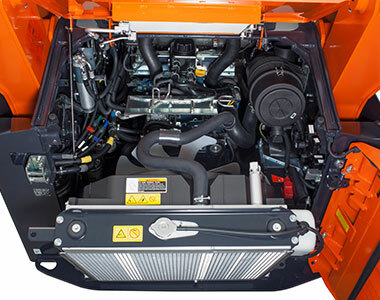 Powerful Kubota 92HP CRS (common rail system) diesel engine. 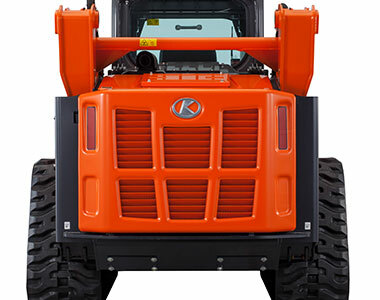 Automatic burning can be postponed when the track loader is operating in fire prone areas or hazardous environments.